Fly mobiles, a mobile phone manufacturing company from Europe founded in 2003 has added a new entrant to upgrade it’s phablet portfolio in the Indian market. This new entrant is named as Fly 53s and is packed with some nice features and specifications. The price of Fly F53s is Rs 9,999 and it is available for sale on all the leading online retailers across the nation. Just a week ago Fly mobiles launched an entry level android smartphone named as Fly F351 in the Indian smartphone industry and now with Fly F53s company is looking to deliver some more high specs device in budget segment. Fly is among those sellers who deliver their products at an affordable price range. Coming towards the launch of the day and specifying it’s details and specifications, Fly F53s sports a big 5.3 inch of IPS capacitive touch screen display with 960×540 pixel (qHD) resolution. This big display helps in providing clearer pictures and a wider viewing screen. It also brings other benefits such as smoother motion, richer and more natural colors on your phablet screen. Dealing with its platform dependency, this device sails on Android 4.1 jelly bean operating system powered with a dual core processor running at a clock speed of 1.2 Ghz. Though, dual core with big screen is a nice combination which make the overall experience of playing games, surfing net quicker and faster but it is quite weird to see that company has offered this device with dual core processor at such price tag whereas other well reputed native makers are offering their devices with quad core processor with in the same price range. In terms of storage specifications, this device comes with 1GB of RAM to make the switching between applications, opening and browsing installed applications smoother and faster. Internal memory is 4GB which can be expanded with the help of micro SD card slot. However, how much expansion of memory can be done with this micro SD card slot is not clear. This device supports Dual Sim (GSM+GSM) with Dual standby technology, which helps the users to remain active on two different Sim’s at a single time. Enumerating its photography specifications, this device include both primary and secondary snapper options. On the back panel, the primary camera rated at 8MEGAPIXEL has been installed to capture nice snapshots both for the day and night vision. On the front, the secondary camera rated at 2 MEGAPIXEL is assimilated for video chatting. Fly Mobiles may not have been in the news for some time but the company has been expanding its smartphone portfolio for the Indian market, gradually. 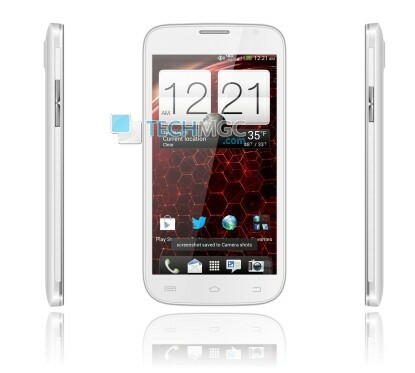 The company is not only expanding its mid-range smartphone segment but it has been unveiling budget handsets as well. Connectivity wise, Fly F53s supports 3G, 2G, Wi-Fi, GPS, Bluetooth, FM, micro USB, G-Sensor, light, Proximity sensor and to make the user listen songs and watch video with the help of earphone this device supports 3.5mm of audio jack. Power of this device comes from 1850 mAh of battery which company claims that it will give up to 10 hrs of talktime. Dual SIM / Dual Standby (GSM+GSM). 5.3 inch IPS qHD capacitive touch screen. 8MP rear camera + 2MP front camera. 1GB RAM, 4GB internal storage and Micro SD slot. 3G, 2G, Wi-Fi, GPS, Bluetooth, FM, micro USB and 3.5mm audio jack. Battery : 1850 mAh with up to 10 hours of talktime. Sensors: G-Sensor, light and Proximity.